Wearing dirty, unkempt clothes can make you look unprofessional. If you’re in need of excellent laundry and dry cleaning services, Quality Cleaners in Macon, GA has the right solution for you. We use thorough and delicate cleaning procedures, making sure that your clothes are washed following their respective care labels. We also offer clothing restoration services for damaged garments. *Pre-pay and save 10% on any order. Do you need to alter the size of your wedding dress or have your fading leather jacket repaired? From mildew stains to smoke or fire damage, our state-of-the-art processes to provide the specific treatment your garment needs. Leave your damaged clothes to us and we will get them looking as good as new. Save yourself from the time-consuming task of doing laundry work. 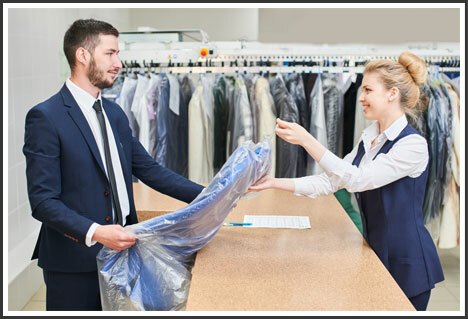 Count on the laundry and dry cleaning services of Quality Cleaners. We have substantial experience cleaning all types of fabric, so you can rest assured that we know how to apply the proper care to your clothes. Give us a call today if you have inquiries regarding our service rates. We hope to hear from you soon.